A dog attack can be terrifying and traumatic. Unfortunately, many dog bite victims are young children. Even as an adult, this type of attack can leave you rattled and psychologically harmed. Even if the dog is owned by someone you know, the aggressive behavior may have been completely unexpected. If you were bitten or otherwise injured by a dog that was not your own, you should contact our lawyers to see what your options are. You may be able to obtain compensation for your injuries. For a free case review with the experienced Florida lawyers at The Kelleher Firm, please call 833-546-3675. The emergency care and ongoing medical treatment for these injuries can be very expensive. The nature of some of these injuries may make it impossible for you to return to your job. These things together can lead to a lot of financial losses and strife. And, at the same time you are dealing with these financial issues, you may also be dealing with disfiguring injuries that cause you emotional and physical pain. For all of these things and others, you deserve compensation. 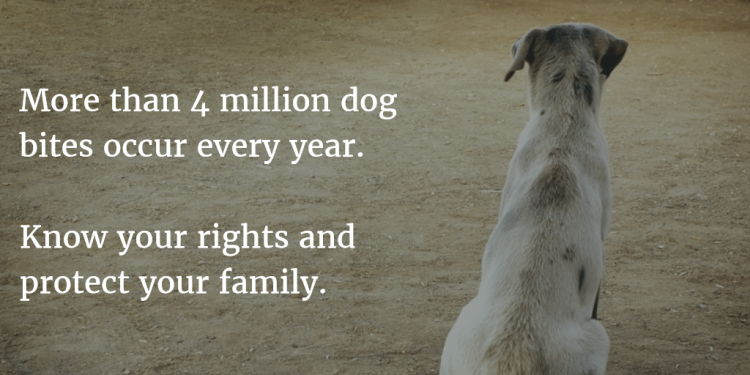 Get the dog owner's information, if possible. If you have emergency medical needs, that should be your one and only concern. But if you are able, you should make sure you can identify the dog owner. Get their name and contact information if you don't know them. Is the owner the person who was in custody of the dog at the time of the attack? Get medical attention. Your health and well-being are the priority. Get medical care promptly, or immediately if you think it is an emergency. Dog bite injuries can be particularly serious even if it looks like a small flesh wound – the bacteria in a dog's mouth can cause a severe infection under your skin. Make sure you have your injuries looked at even if you don't think they are serious. Photograph the injuries. If you are able, use your phone to take pictures of your injuries, any torn clothing or any other things that are relevant to what happened. These pictures can be really helpful while resolving your claim. Record anything you think is relevant in a journal. Keep a Word document, use your phone's notes app or any other means of writing down what you remember. Write down what you remember happening in the moments leading up to the attack, as well as the aftermath. Where were you when the attack occurred? Was the owner present? What type of medical care did you need? What kind of prognosis did your doctor provide? All of these things and anything else that occurs to you should be recorded in your journal. Call our attorneys. The dog owner, their insurance company or other parties may contact you shortly after the attack. Make sure you talk to our lawyers as soon as possible so that you know what to say when these people call you. Saying the wrong thing can hurt your chances of pursuing and obtaining compensation. Rabies, MRSA and tetanus are just a few of the serious diseases that can be caused by a dog bite. It's important to arrange a doctor's visit after the incident. Immediately after the attack, you should wash the wound with soap. If you receive a call or are contacted in some other way by the dog owner's insurance representative, you should think twice about accepting any offers or discussing who was at fault. These things will end your ability to pursue a claim for maximum compensation. Talk to our lawyers first, to find out what you should say when the insurance company contacts you. 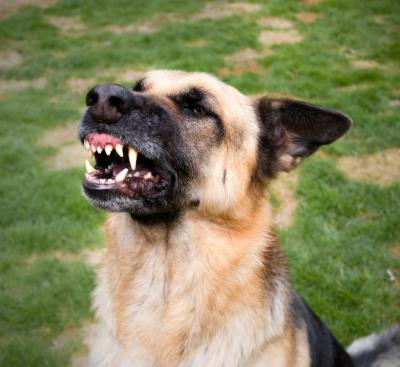 Most often, the dog's owner is responsible and liable for any bites or attacks committed by their dog. Florida's statute regarding dog bites essentially makes the owner liable if a bite occurs, whether or not the owner had prior knowledge of a history of viciousness. There are a couple exceptions. If you were trespassing, the owner may not be responsible for the attack. 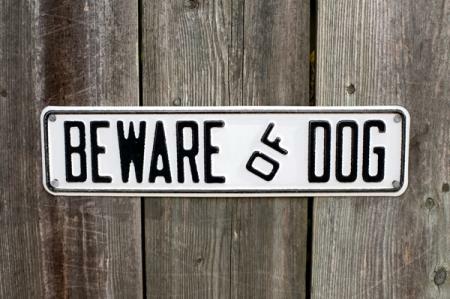 The owner may also not be responsible for bites that occur on their property if a sign displaying "Bad Dog," "Beware of Dog" or similar, is posted. Although if the victim is under the age of 6, then the sign doesn't release the owner from liability. If it is determined that your own negligence was in any way involved in the attack, then any compensation award obtained may be reduced accordingly. Issues of liability, and who was at fault to what extent, can quickly become complex. The experienced attorneys at The Kelleher Firm know how to review your claim to determine who was responsible and how it affects your case. If you were bitten, you may be wondering if the owner's insurance would be a source of injury compensation. It's possible. If the attack occurred on the dog owner's property or in their home, then their homeowner's insurance may have some coverage for a situation like this. Or, if the attack occurred in a vehicle, it's possible there is coverage within the auto insurance policy. Another issue that should be mentioned is that of workers' compensation. If you were bitten by a dog in the course of your work duties – delivering a package, installing cable in someone's home, etc. – then you may have a workers' comp claim. Workers' compensation insurance provides payment for medical care and replacement of lost wages, in the event you are injured while doing your job; however, your presence at the premises where the attack occurred must have been lawful. If you were bitten while doing your job, you may also be able to bring a claim against the owner, in addition to receiving benefits through workers' compensation. Consult our attorneys to see if this is possible in your case. Time is of the essence. Contact us as soon as possible to learn more about your claim. There is no obligation in doing so, and no cost. There are deadlines for filing injury claims, known as statutes of limitation. These laws determine the amount of time from the date of injury that a claim can be filed. Call us to find out if your claim is eligible. We know all of the relevant Florida statutes. As your attorneys, our job is to fight for full and adequate compensation on your behalf. While we cannot guarantee any outcome, we can assure you that our job is not complete until we have reached the best possible results for you. It is all of these things and others that we seek compensation for. While a dollar amount may be somewhat easily attached to a medical bill, things like pain and suffering are less obvious in terms of dollars and cents. But we work to demonstrate the extent to which these things have affected your life, and argue for maximum compensation. The CDC reports that more than half of all dog bite injuries occur at home and involve a dog the victim knows. If you or a loved one was injured in a dog attack, please call the experienced dog bite lawyers at The Kelleher Firm at 833-546-3675. We have offices in Naples and Fort Myers, Florida, and proudly fight on behalf of injury victims from across our region. We tirelessly pursue compensation on behalf of dog bite victims.